EPUB - iBooks, Nook and other eBook readers. 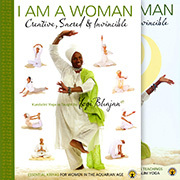 In The Teachings of Yogi Bhajan you will find timeless wisdom, transmitted by one of the great teachers of our age. The style is easy to read while also being inspirational and profound. You are sure to find something new every time you return to its pages. The words have the power to make you happy in moments of sadness, and also to lift your spirits in times of depression. You can use this wonderful tool to clear your subconscious, flush out your negative thought patterns, and replace them with those which are happy and positive. Its inner secret is the power of the spoken word - the most wonderful gift given to human beings. Through it relationships are made and broken, knowledge is transmitted, and consciousness is changed. Besides pointing to our inner hidden wisdom, Yogi Bhajan also offers very practical philosophical guidelines, along with some very specific and effective techniques for meditation. There is much wisdom here from the master of Kundalini Yoga, and his words literally cut through you in many cases. Indeed, reading this book is like sitting down with a stern but loving teacher, as you may find that many of these sayings force you to confront behaviors that you know you engage in but shouldn't. There is no room for excuses, cop outs or crutches in Yogi Bhajan's world. You are either a committed student, or you are not. 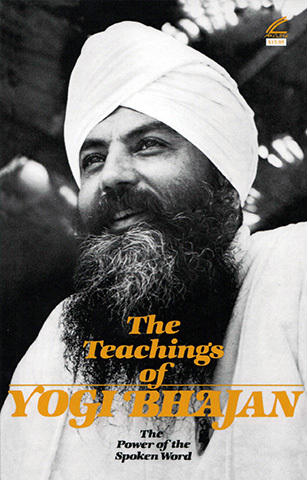 The Teachings of Yogi Bhajan are presented in short lessons, ranging from one sentence to several paragraphs - an essential book for anyone looking to understand more about who and what they are, the nature of reality, and the nature of devotion. As a practical demonstration of the power of the spoken word, read his words on Love, Happiness, God, Mind and Relationships - your view of the Universe will be changed forever.